Again! After the Christmas’ visit, I went back to Two Bakers, an artisan patisserie shop at Horne Road, Singapore. It is an impromptu visit to have a share of cakes with a colleague after lunch. It was just a distant walk from the food court to cafe. Litchi in French means lychee in English. 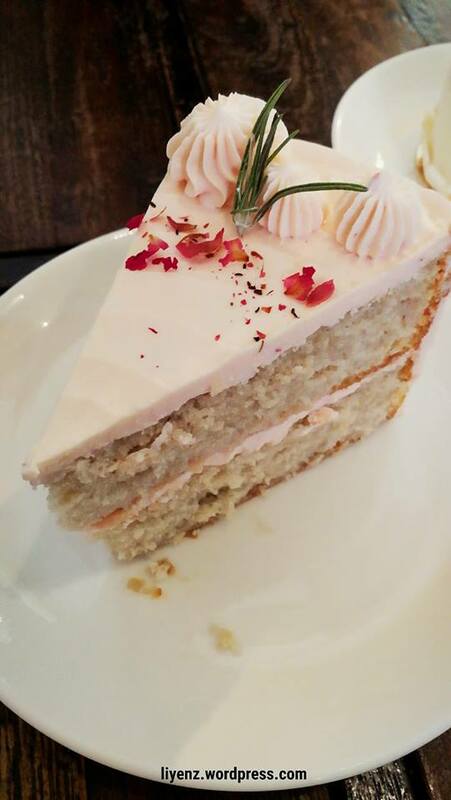 It is made of raspberry favoured light sponge cake, with rose infused buttercream, litchi bits and rose petals and carefully designed with a small stalk of rosemary on top of the cake. See the picture, it looks so pretty. At the first glance, it gives me an impression that the sponge cake is quite dry. It may look better and give better texture if the cake is slightly moist. Overall, the cake is not sweet, not overwhelmed with rose and not creamy, it is quite suitable for my liking. Two bakers always give me a surprised combination of natural ingredients to make their delicious cakes. I hope to try their main course one day. It is a Singapore owned dessert bar serving yogurt parfaits with toppings. My visit at City Square recently brought me to try their daily made yogurt. It comes in 3 different sizes, Grand, Moyen and Petit. 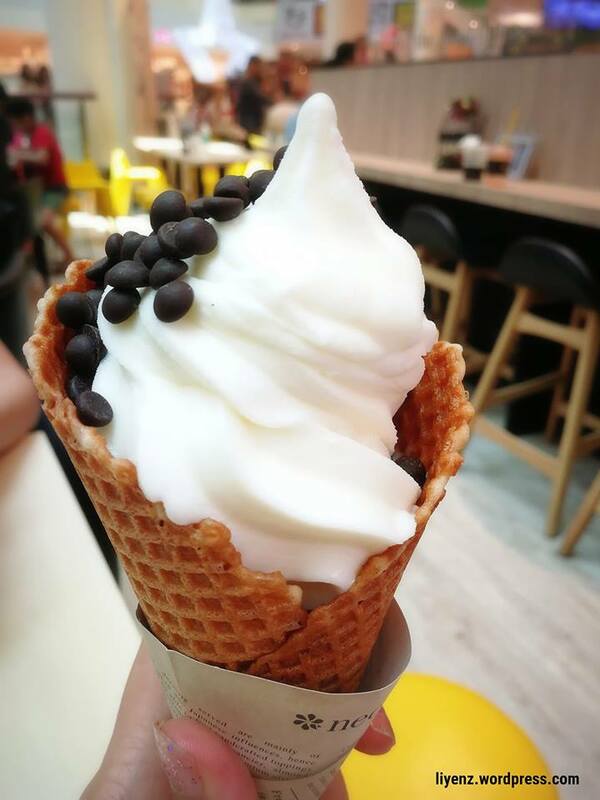 I ordered the cone based with chocolate chips as its topping. It is a bit messy as the chips are not sticky on the yogurt and it dropped while I was enjoying the yogurt. Yogurt did not melt fast so I still could slowly enjoy it while carefully ate each of the chips without dropping. If you do not want the mess, it is recommended to go for plastic cup based. Open: 11am to 10pm daily. Recently, I revisited the Two Bakers cafe which is located at Horne Road, Lavender for a dessert. From my point of view, their cakes are pretty good ones. It has been my third time trying their cakes and each visit they introduced different kind of cakes according to seasons. This time is Christmas. While the Christmas’ theme cakes selection is not many this time, they are still offering the Autumn’s selection, based on what I saw from their dessert menu. (Dessert menu is different than their main course menu, do ask for the dessert menu if you wish to try their cakes). The cake on the top right is the Osmanthus Coco. Everyone knows that osmanthus has health benefits, it helps to improve skin, detoxify the body, reduce thick saliva in the throat and boost lung health to name a few. The refreshing taste of the osmanthus together with bites of water chestnut, coconut mousse and mango pineapple compote (whole fruits are cooked in water with sugar and spices) makes it tasted good and interestingly, it is not over sweet. It is decorated with a little Christmas tree biscuit on top of the cake. The other cake is called Miso Apple Tart. The ingredients are white miso, Granny Smith apple, sable tart shell and almond cream. A little bit research of what sable tart shell is, sable is a French word means sand, which is the French term that takes the place of the English “breadcrumbs”. And, that is made as the base of the tart. The sweetness of the cake is acceptable although it is using white miso which brings up a definite sweet taste. Personally, I like their cakes very much because of the detailed and the use of different ingredients to make the cakes. I am going for no or low sugar intake and their cake still suit me. I hope they will continue to innovate more creative and healthy choices of cakes for us in the future. From dim sum, we moved on to another place for coffee or dessert. Again, we took bus to Kallang Bahru. 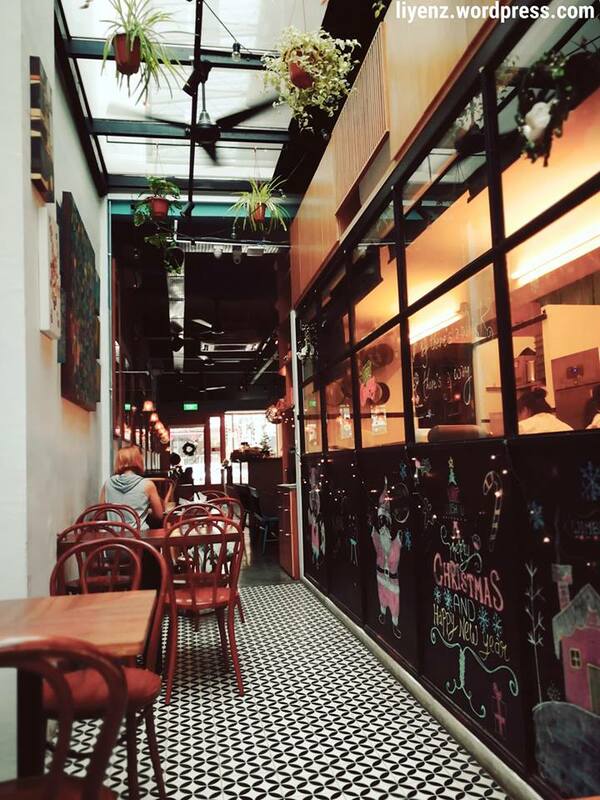 I wanted to bring my friend to one of my favourite cafes. 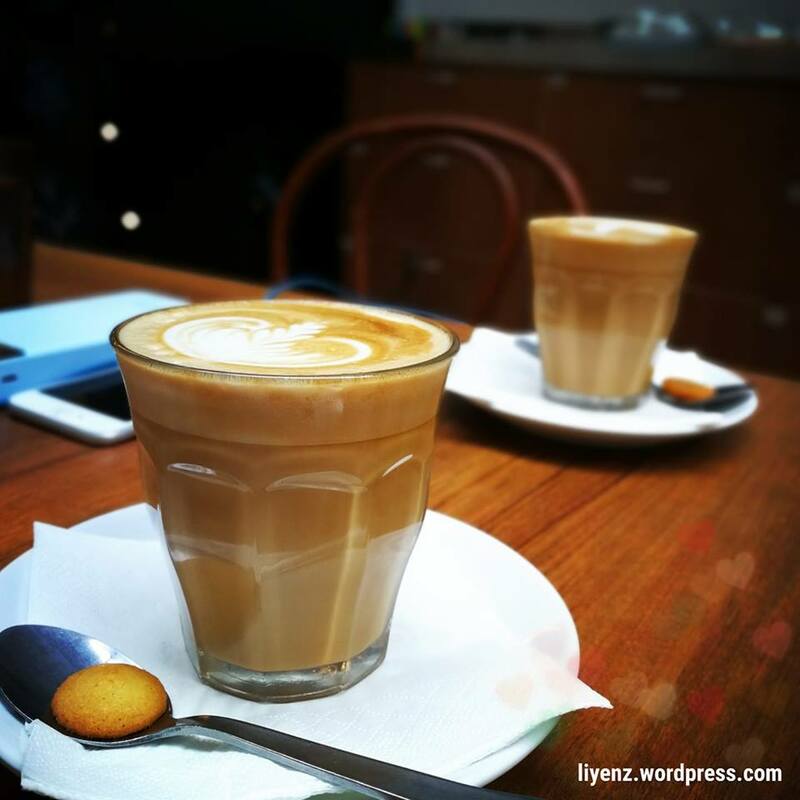 The Wimbly Lu which is located at Tyrwhitt Road, is a quiet cafe, suitable to sit down and talk with small group of people. The cafe offers wide range of food and drink. It serves alcohol too. It was no crowd when we walked into the cafe and my friend chose to sit at the table in front of the kitchen, the same table which I used to sit during my last visit with my client. Personally, I like to sit at this table. It is located toward the back of the cafe, which is less crowded. This table is quite bright with the high ceiling, cooling and more importantly, it is quiet. My friend wanted to eat ice cream and I suggested to my friend to take the waffle with ice cream. We ordered double scoops ice cream and chose the salted caramel and chocolate truffle with chocolate syrup as the topping. I did the drawing on the waffle with the syrup. We both ordered the latte and slowly enjoyed the waffle for that afternoon. 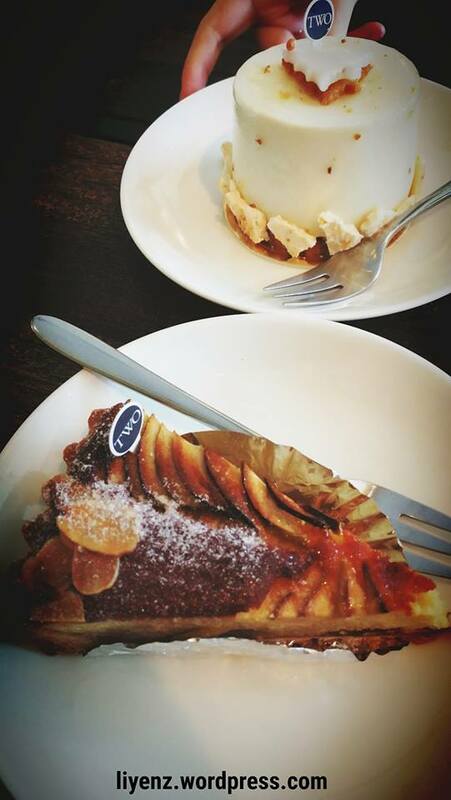 The coffee and dessert are just normal, however, I simply love the ambiance of the cafe which is suitable to spend time with friends. Address: 166 Tyrwhitt Road, Singapore 207570. 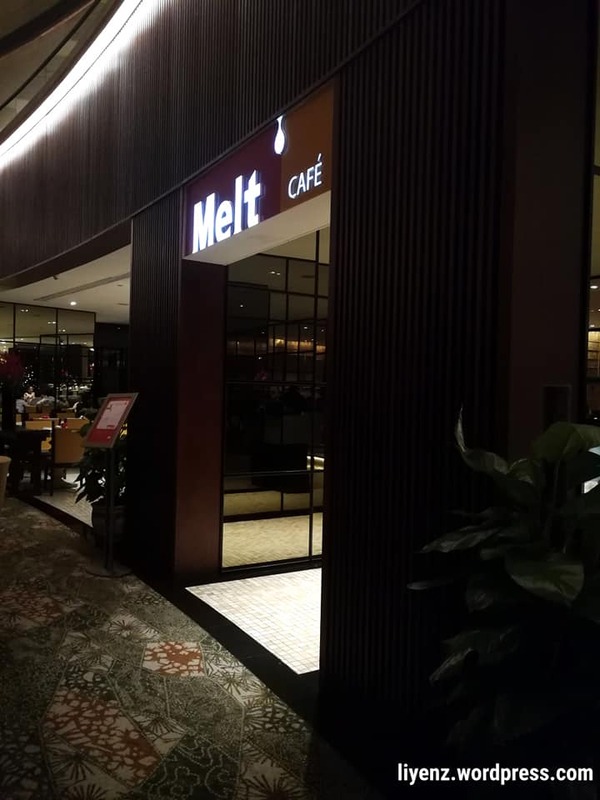 This year company’s Christmas celebration was held at the Melt Cafe at Mandarin Oriental, Singapore. The cafe was chosen by my colleagues with the helpful hands from her husband to do the research and presentation slides to our boss. It was a Christmas month’s menu so we can expect some Christmas’ theme desserts. From their long listed menu, we can find they have included turkey, log cakes and etc in the list on top of their international buffet. 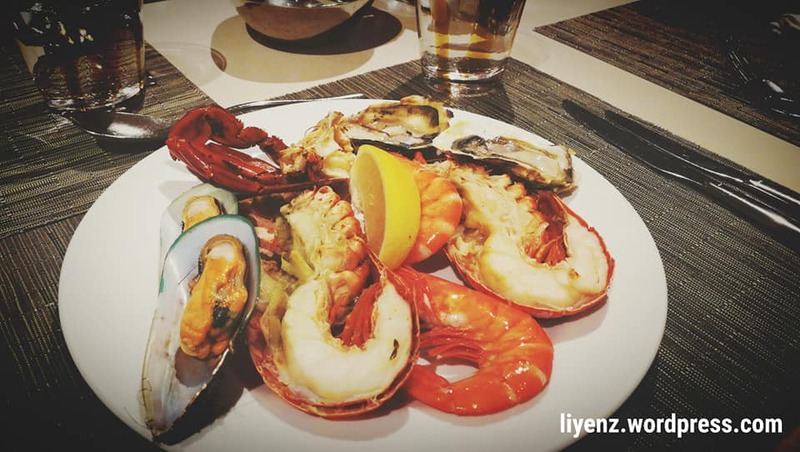 I took the cold seafood selection which consists of lobsters, prawns, oysters, snow crab and mussels. There is clams as well but I did not try them. It is fresh, well cooked and smelt seafood. With some lemon sauce, I started my dinner. Then, I continued with second plate of seafood with more lobsters, prawns and crab to fill up my stomach, before I moved on with dishes from the salad bar. The Prawn Salad was good and finished quite fast when I tried to get some again. Next to the salad bar is the ham section. They offer some pretty good ham. Around this corner, we can get our bread, fruits, aloe vera drink and juices. The pink guava juice is one of it which tasted good. I am not sure whether they are freshly made or from the packed drink. At the other section, we can have all the cooked food including the roasted pork, chicken and of course turkey. Some vegetables and Indian food as well. Outside, we can get the BBQ-ed salmon, prawn, lamb and beef. All of them were delicious and not over burnt. I started to feel full and decided to slow down with a little intake of carb from the Japanese section. The sashimi section looked a bit not appetizing so I gave a skip and took the inari, the only one with carb. I tried the deep fried squid which is crispy and crunchy. With this, I moved to cheese and dessert which are something I should limit my intake. 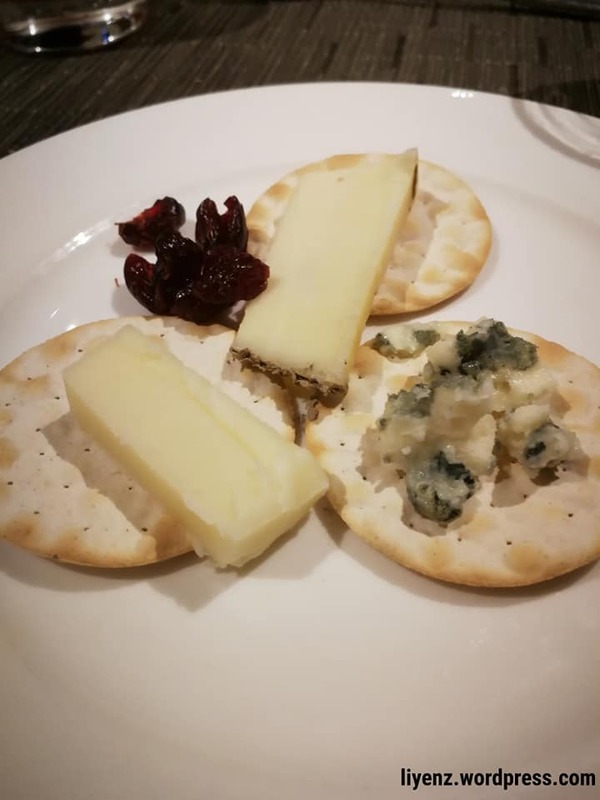 There are four different kind of cheese, I forgot all its names but confirmed one of them was blue cheese. I cut a small slice of cheese and took the crackers. If my stomach can still be filled with food, I would have made a bread with cheese and ham. 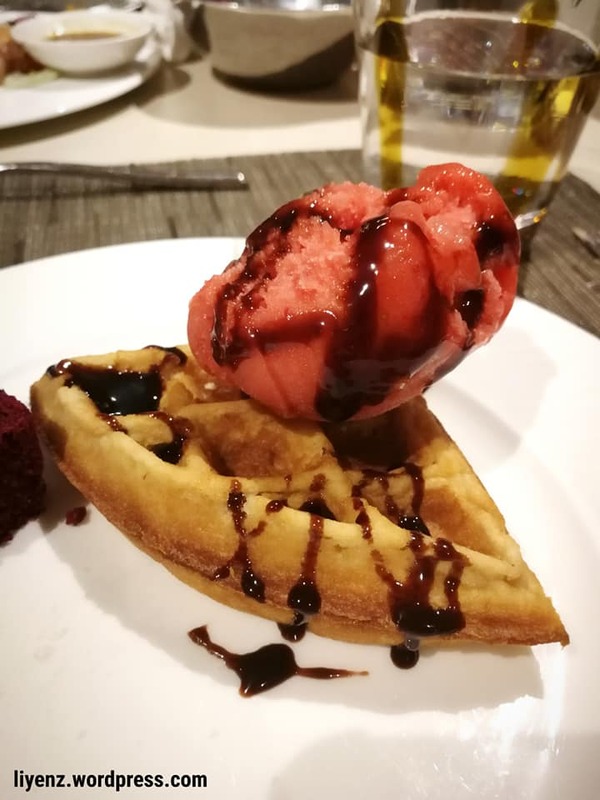 Lastly, I took some dessert and a quarter waffle with strawberry ice-cream on top of it. 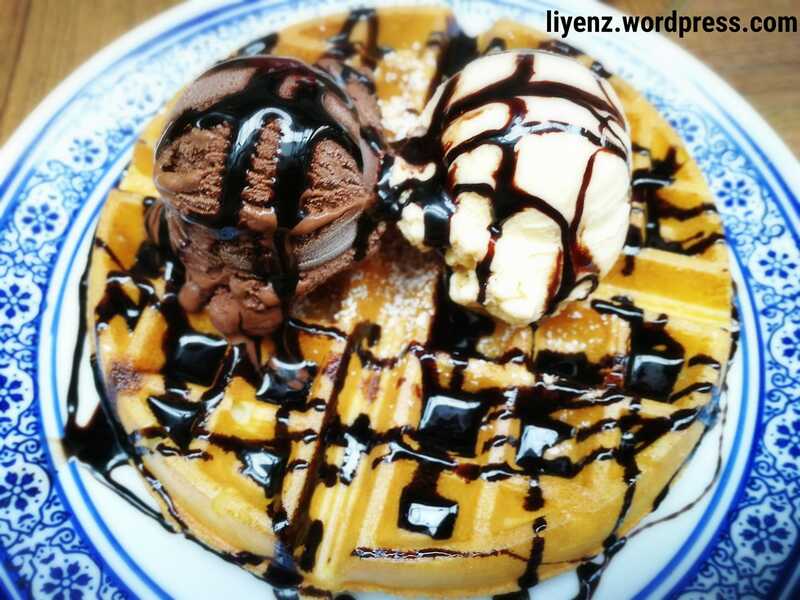 I tried to make it Instagramable picture but the ice-cream was not positioned nicely and the chocolate syrup was a bit too overflowed on the waffle. 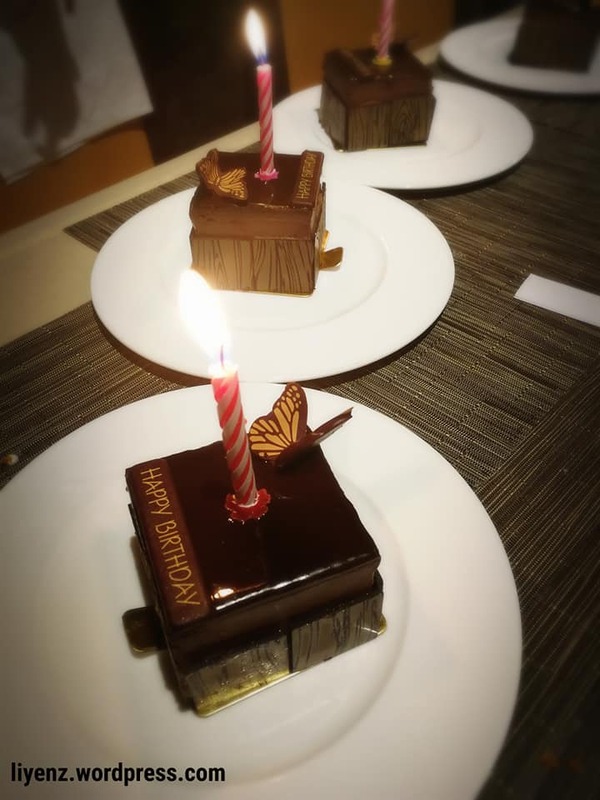 We were given some complimentary birthday cakes for birthday babies by the restaurant. I think it is one of the good idea or initiative by the restaurant to give out the birthday cakes to the guests. Five of us received the nice designed birthday cake and we sang them a song and took some group pictures together to wrap up the day. I could have took the picture from the front view of the restaurant’s entrance against the great views of all the hotel rooms. Overall, this is one of the good international buffets in town one should try. 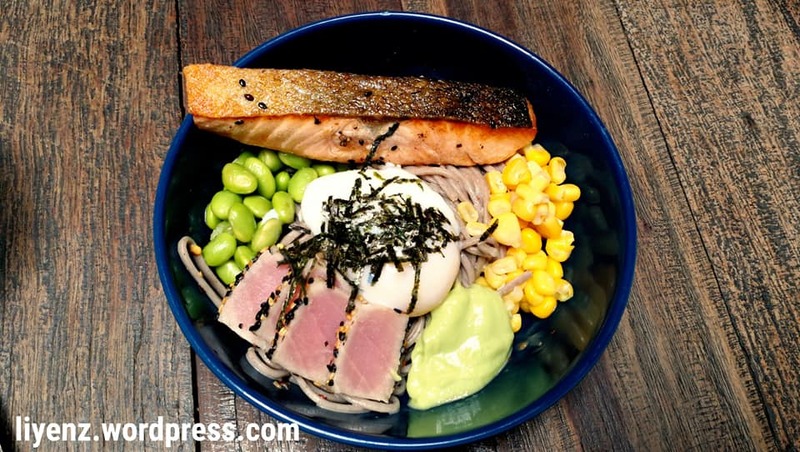 Their menu offers more than what I can eat and I am sure they do have other delicious dishes which I did not try. Since after my last post on the 18th December, I briefly stopped writing my blog to enjoy my Christmas. Same as the previous years, I spent my Christmas in slow pace and enjoy the day without having much to do at home. I think this is a best way to enjoy a public holiday too. While many people go for holidays, some remain in town and enjoy the festival with family and friends. As for myself, I spent the Christmas’ eve with a great Chinese lunch at Swee Choon Dim Sum house with a group of great people after work. We shared some laughter and stories together while waiting for food. It was quite crowded that day and some of our orders got mixed up. After the lunch, everyone of us went of separately and I joined my colleagues back to her house to catch up some talks and movies. We watched the Game of Thrones. Later the night, I went to Ang Mo Kio for Christmas’ eve dinner with my family. 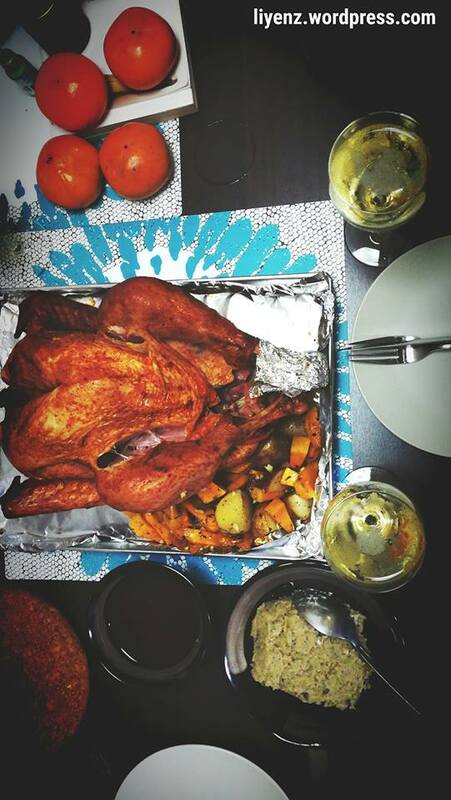 A big roasted turkey as our main dish for that night. 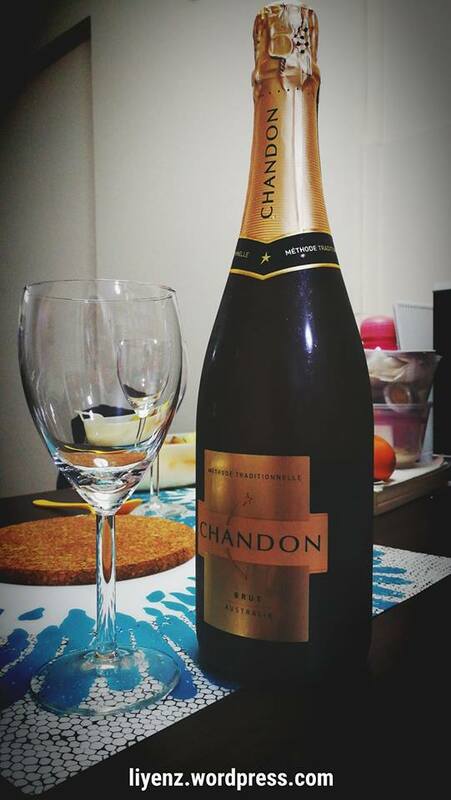 We opened a bottle of champagne to share the moment. A lot of Instagramable pictures were taken during the feast. The roasted turkey bought from the Fair Price was really huge, we just managed to finish both legs and one of the wings. The turkey meat texture was quite dry and hard. Generally, it is a good experience of eating the whole leg by myself. Next, after 12.00 midnight, we cut the Christmas log cake and opened our presents. 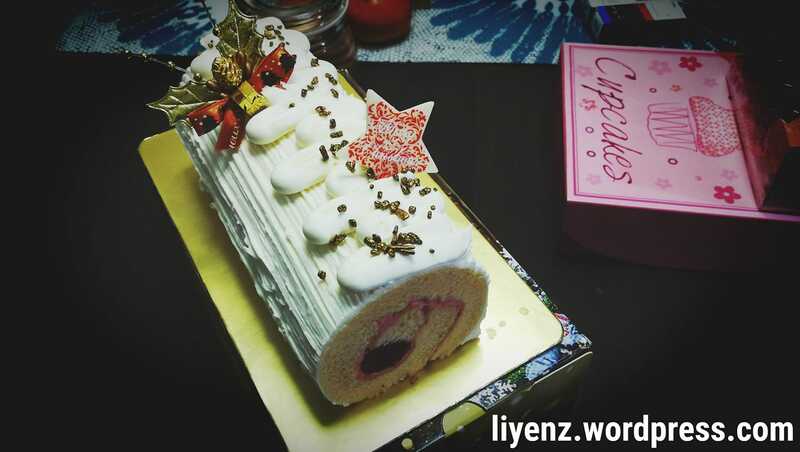 We bought the Strawberry Log Cake from FairPrice too. The strawberry paste is not very sweet to eat with the sponge cake. It was slightly creamy on top (as a design) and unavoidable I ate some of them. I am not a big fan of cake, just give an exemption for special occasion. Very soon, we will usher the grand new year of 2019. It is time to plan for what to be done next year and work harder to make it achievable.